President Trump slams Ilhan Omar for 'targeting Jews', blasts her over attack on Trump's Jewish adviser Stephen Miller. President Donald Trump slammed Minnesota Democratic congresswoman Ilhan Omar Tuesday, accusing her of ‘targeting’ and ‘assaulting’ Jews, after Omar accused a Jewish adviser to the president of being a “white nationalist”. On Tuesday, Omar, who has been embroiled in a string of controversies sparked by her accusations against AIPAC and American supporters of Israel, accused White House senior policy adviser Stephen Miller – who is Jewish - of being a “white nationalist”. Later that day, President Trump slammed Omar in a series of tweets, accusing her of targeting Jews. “She (Congresswoman Omar) keeps on assaulting Jews...” Trump tweeted, quoting a Jewish businessman who appeared on Fox Business. Miller, a former aide to then-Senator Jeff Sessions, was tapped to serve as President Trump’s senior advisor following the 2016 election. He has been seen as one of the principle architects of Trump’s immigration policies. 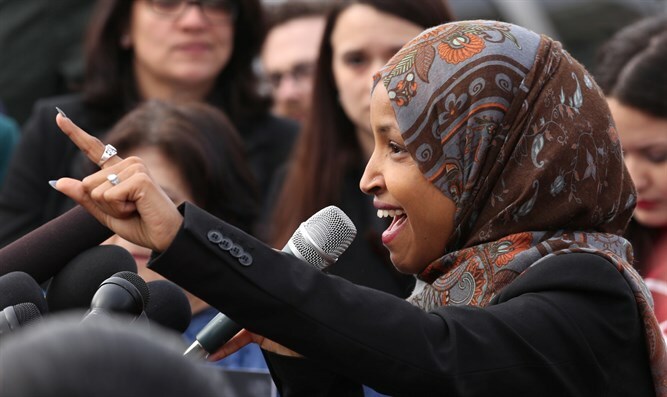 Omar, Somalian-born refugee and immigrant to the US, has come under fire for a string of comments on Israel and supporters of Israel, which Republicans and even some Democrats say are thinly-veiled anti-Semitic tropes.